Keeping the best and the brightest volunteers around can be a difficult proposition for many nonprofits. To be able to maximize the benefits volunteers bring, it is critical to keep them coming in over the long haul. By maintaining a loyal volunteer base, not only will your nonprofit get more done for less, but it will also create greater community involvement and increase your organization’s overall visibility in a number of important ways. However, in many cases, nonprofits will invest hours to recruit and train volunteers only to see them leave shortly thereafter. To prevent that from happening, here are five simple but important steps you can take to keep your volunteers engaged and happy to return. Don’t assume all volunteers just want to help your cause. No doubt most have good intentions and believe in your nonprofit’s mission, but they also have other reasons for volunteering. Maybe they would like to meet new people, develop other skills or perhaps they want to feel needed. So, if you give them uninspiring things to do – like standing over a copy machine for extended hours – chances are it won’t fulfill any of their aspirations. Ask volunteers right from the start, what they hope to get from their experience and look for ways to give them that. If a volunteer hopes to apply photography skills in a role, assign them to work on taking pictures for a newsletter, website or annual report. In cases where there are regular volunteers, overlap schedules, so they can converse with one another. Begin by giving each volunteer some formal training. Provide an explanation of your organization and its work as well as how the volunteer will fit in. Discuss your expectations and the work to be done as well as more interesting work they can be assigned once they prove themselves. You might consider creating a volunteer manual outlining expectations, hours of work, your commitment to making their experience worthwhile, plus basic office policies like personal use of computers and phones. Always be willing to give feedback on how your volunteers are performing, especially if they are trying to develop certain job skills. Make it clear from the onset, that now and then you will sit down to review performance and that the volunteer will then have an opportunity to share their thoughts on their experience and what could make it more enjoyable. 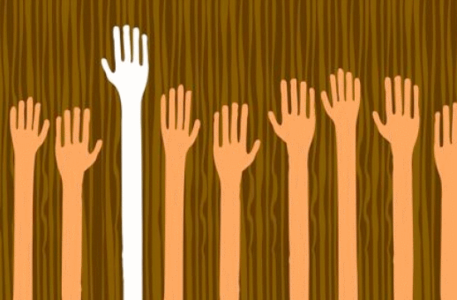 Most nonprofits prefer volunteers work a certain number of hours each week or month. Creating some alternatives can be a real benefit, especially for those volunteers who may have spare time, but not at the same time each week. At some nonprofits, volunteers are asked to make a certain commitment of hours and then have to call and verify when they can actually work those hours. There are also organizations who only recruit heavily for a one-time event or ask help with limited projects. No one is saying that you have to have a party atmosphere, but you should recognize that some tasks are just more fun than others. For instance, if your nonprofit works with kids or animals, chances are pretty good that many of your volunteers would hope to have some interaction with them. Depending on the work you do, will determine how you can make use of unskilled help. However, try and be innovative in finding things for your volunteers to do. For example, a nonprofit that works with young girls from low-income homes to prepare them for college, had student volunteers come in and talk about their experiences in college. This provided a unique opportunity for the volunteers who weren’t stepping into a staff role but instead were helping out the staff while creating a nice uplifting feeling for the program. Serve food and they’ll come! Whether it’s, finger-foods or catered entrees, more people are willing to participate when food is involved. If you want to keep the theme of the ceremony, consider hiring a catering service which has tasty vegan or vegetarian food. If that’s too extreme, delicious organic meals would be appropriate for your theme. You’re promoting your solar system and all festivities should relate to your decision to invest in the environment. When managed effectively, these type of events can create a great opportunity for your organization. PreviousPrevious post:5 TIPS ON HOSTING A LIGHT UP CEREMONY FOR YOUR SOLAR SYSTEMNextNext post:SOLAR ENERGY USE WILL CONTINUE TO GROW AS COSTS ARE EXPECTED TO DROP SIGNIFICANTLY IN THE FUTURE. WHAT DOES IT TAKE TO ENGAGE YOUR MEMBERSHIPS THROUGH SOCIAL MEDIA?